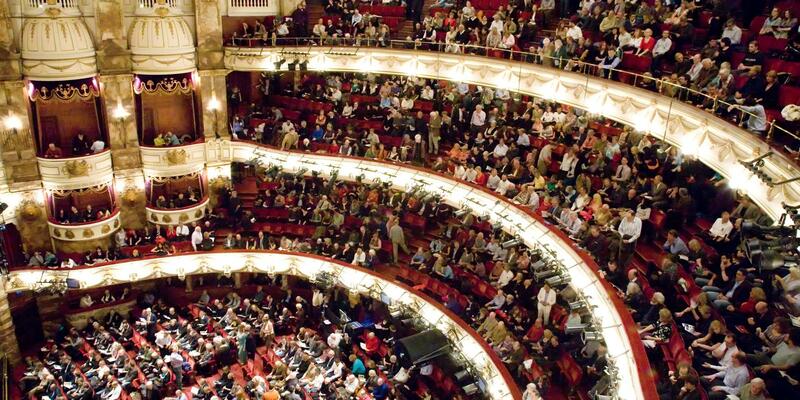 We want you to have a truly brilliant experience at the opera. English National Opera exists for everyone, creating new experiences with opera that inspires, nurtures creativity and makes a difference. 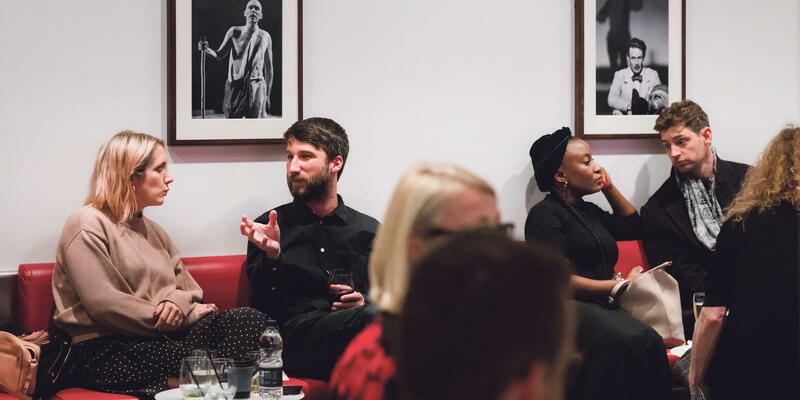 To make your visit as enjoyable and stress-free as possible we’ve pulled together some of the questions people most frequently ask about attending opera for the first time. What’s a good first time opera? Will I be surrounded by those ‘in the know’? Yes and no, about a third of people who come to our operas have never been to an opera before, so there’ll be lots of people in the same boat as you. 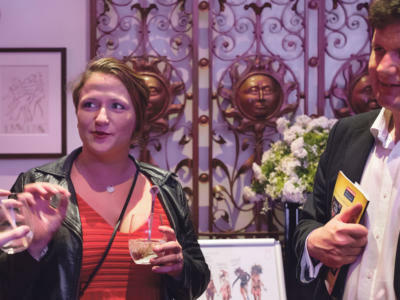 Those members of our audience who are seasoned and frequent attenders are very lovely and enthusiastic about opera and so if you end up chatting to them at the bar they, we are sure, will be happy to share their knowledge. There is no set dress code at ENO. Many people dress up for our opening nights, and unless stated for an event, such as Gala performances and award ceremonies, when it is often black-tie, you can wear what you like. Smart casual to high end couture, it’s your night and we want you to have a great time – all we ask is that if you have large headwear that you remove it for the performance. If it’s cold outside it’s a good idea to leave your coat and any large bags in the free cloakroom for your comfort in the auditorium. Yes. 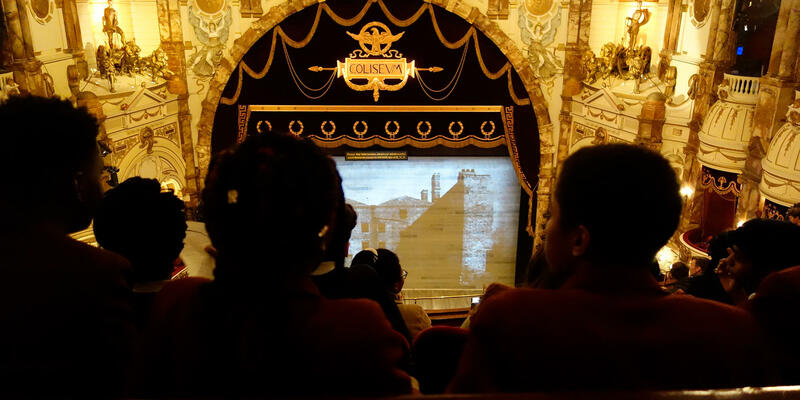 All English National Opera performances are sung in English, with the sung text projected above the stage (surtitles). If you find surtitles distracting for the immersive opera experience, there is one performance for each of our 10 shows which will be a surtitles free performance. Where the opera was written in another language, we translate it into English. We believe that singing in English enhances the emotional connection between performers and audiences. What if I want to make my visit extra special? 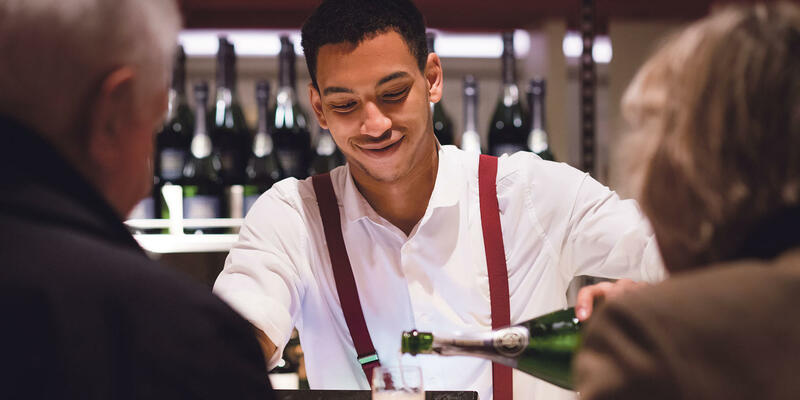 If you want to add additional sparkle to your visit you could order something extra special for pre-show and the interval, order a pre-show snack box or book a table in our restaurant. Our surtitles screen at the top of the stage is used throughout the opera to display sung words above the stage, but before curtain up you can, for a fee, book a message to appear in front of thousands and celebrate everything from a wedding anniversary or birthday to welcoming your guests and congratulating success. Do I need to read up about the opera before I attend? You can certainly do some homework using our plot outlines and guides to each opera but it’s not essential. Our guides will give you a short overview of the opera, the composer and the music. Just watch out for spoilers! Is there an opera etiquette I need to follow? There are no set rules about how and when you should show your enthusiasm for the performance, though most people wait until the end of a beautiful solo or duet, or a pause in the action, before clapping. Our productions aim to be different – more theatrical, more movement, more choreography, and it’s great when audiences love that as much as we do. Like all other theatres we ask that you do not use your mobile phone to photograph or record the performance though we positively encourage photography beforehand, in the auditorium, the foyers, bars – everywhere. Just remember to tag us on your wonderful photos so we can share your evening. Where should I sit for my first opera? The theatre is designed to give a clear view of the stage from every seat. It’s an architectural and engineer masterpiece, as you’ll see. However, please check our seating plan for any restricted legroom or restricted view of the surtitles. If you would like some friendly and helpful advice then please feel free to call our friendly Box Office team on 020 7845 9300 (we’re open Monday-Friday 10am-6pm). We’d be delighted to help in any way we can. 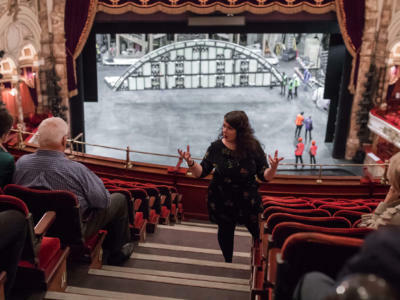 We hope that we have answered the questions you may have and we can’t wait to welcome you to English National Opera and our wonderful home, the London Coliseum. 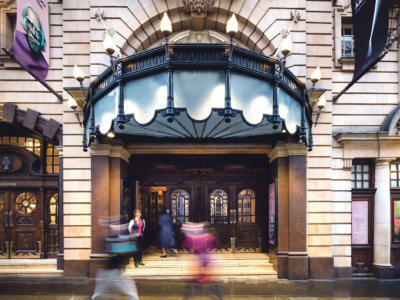 Experience your first opera for just £20 (plus booking fee). Sign up to join us for one of our Opera Undressed nights.